Most Google Chromebooks allow users to change the monitor's display settings including the screen resolution parameters and visual orientation. Additionally, your device might also be able to connect to a monitor or TV and mirror your Chromebook's display.To adjust display settings and fix screen mirroring issues on a Chromebook, you'll need to access the Chrome OS Device menu through the Chrome browser or the taskbar. This article applies to all laptops running Chrome OS. Click the three vertically-stacked dots in the upper-right corner of the window and select Settings from the drop-down menu. Scroll down to the Device section and click Displays. Alternatively, click the time at the bottom of your screen, and then click the gear icon that pops up in the system tray to access your device's Settings menu. Display size: Pick a screen resolution. Modify the width and height (in pixels) that your Chromebook monitor or external display renders. Orientation: Change the default setting by choosing a different screen orientation. TV alignment: Adjust the alignment of an externally connected television or monitor. This setting is only available when connected to a compatible device. Options: This section contains two options: Start mirroring and Make primary. If another device is available, clicking Start mirroring will immediately begin showing your Chromebook display on that other device. Clicking Make primary will designate the currently selected device as the primary display for your Chromebook. Make sure your Chromebook is connected to the internet. Click the time at the bottom-right corner of the screen. Click the gear icon to open the Settings menu. Click the hamburger icon in the upper-left corner and choose About Chrome OS from the list. If you're still having problems mirroring your Chromebook, check the HDMI connection. You could just need to use a different cord or port. If you screen looks distorted after disconnecting it from an external display, go back into the Displays menu and restore the settings to the default. 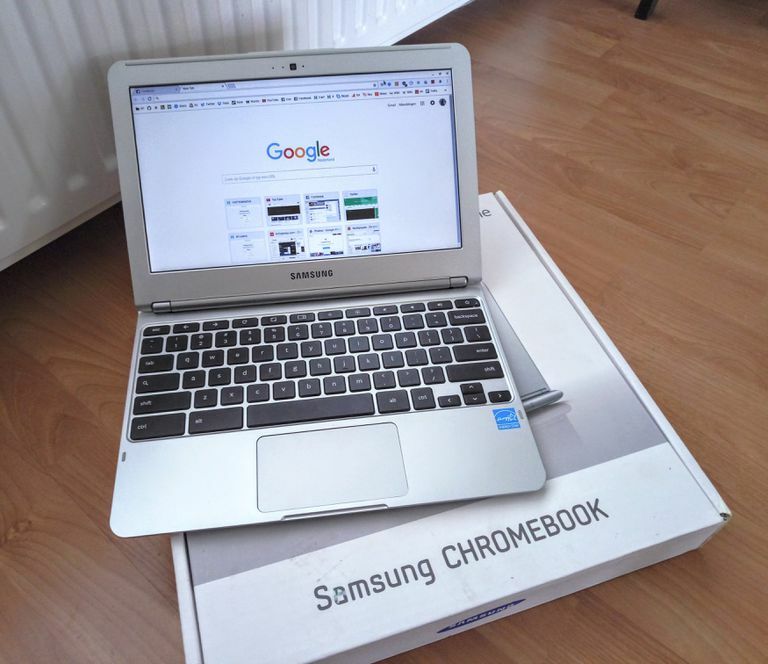 Need to Zoom In or Out On Your Chromebook? Here's How to Do it.